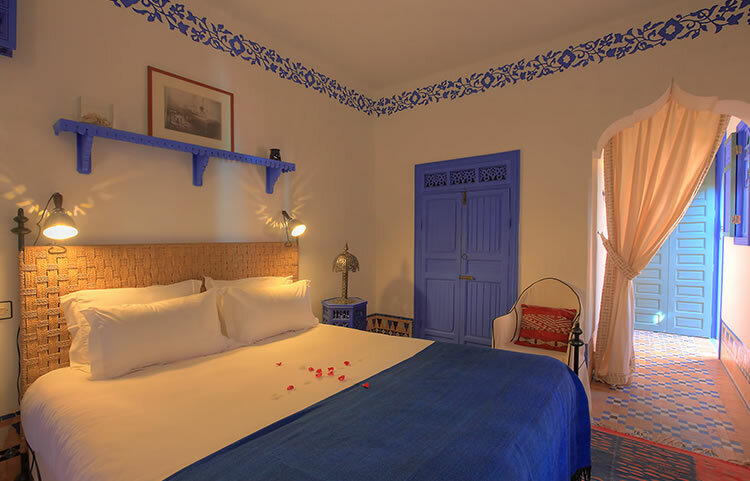 The Deluxe Double at Riad Kaiss is perfect for families travelling together as it can be linked with our Deluxe Twin (depending on availability) by a private outdoor patio space to create a larger area which can be shared by everyone. 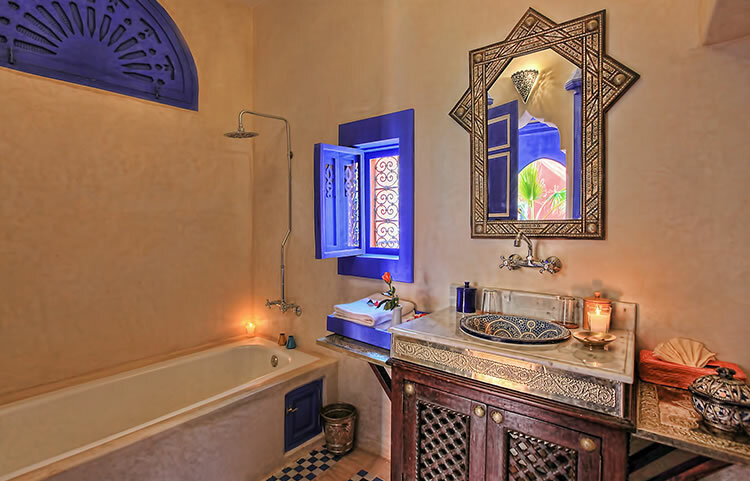 Also very suitable for solo travellers or for a couple who want to combine an authentic riad experience with the cultural exposure of staying in the beautiful and unique old Medina. The room is decorated entirely with fixtures and fittings which were hand crafted within a few square kilometres of where you will sleep, the perfect subjects or backdrops for all your Instagram feeds and holiday Snapchats! 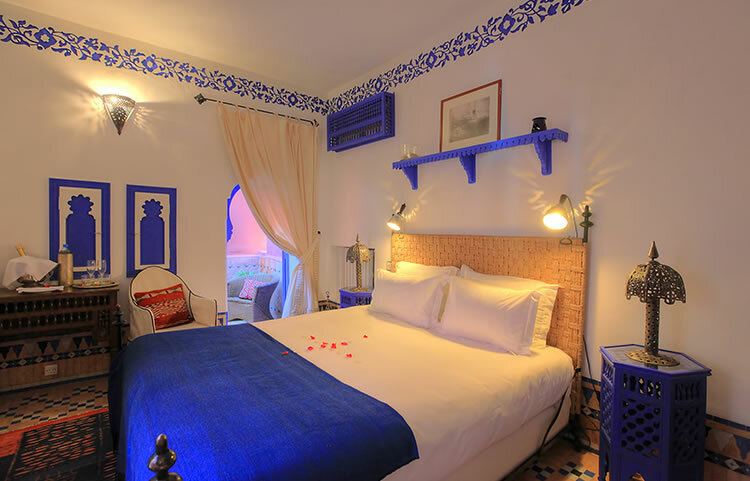 Book directly with us at Riad Kaiss to ensure you are getting the best price for our beautiful Deluxe Double Bedroom in Marrakech.